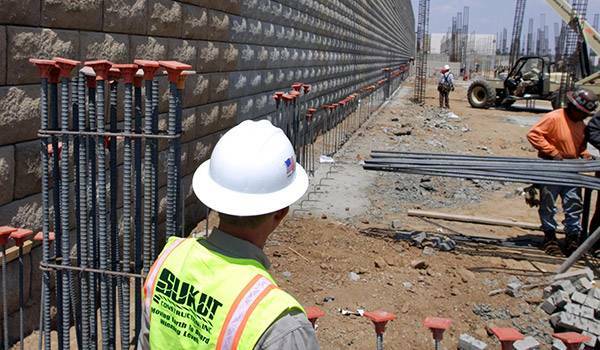 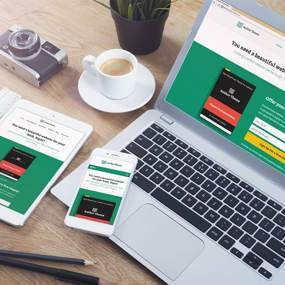 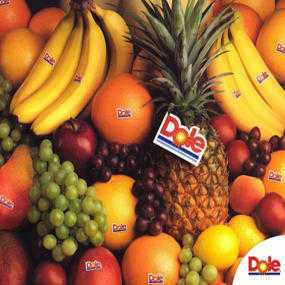 Sukut’s revenues increased by 800% to more than $260 million during the eight years we worked with the company. 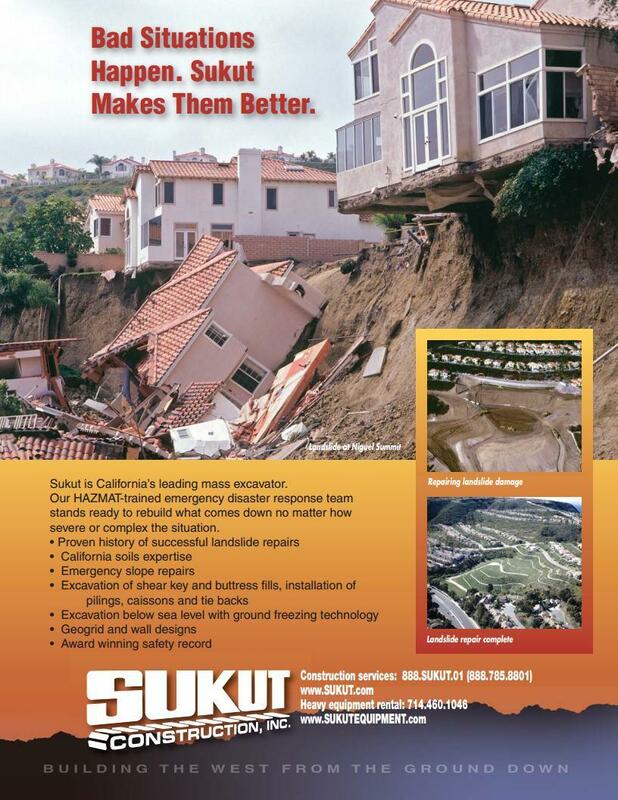 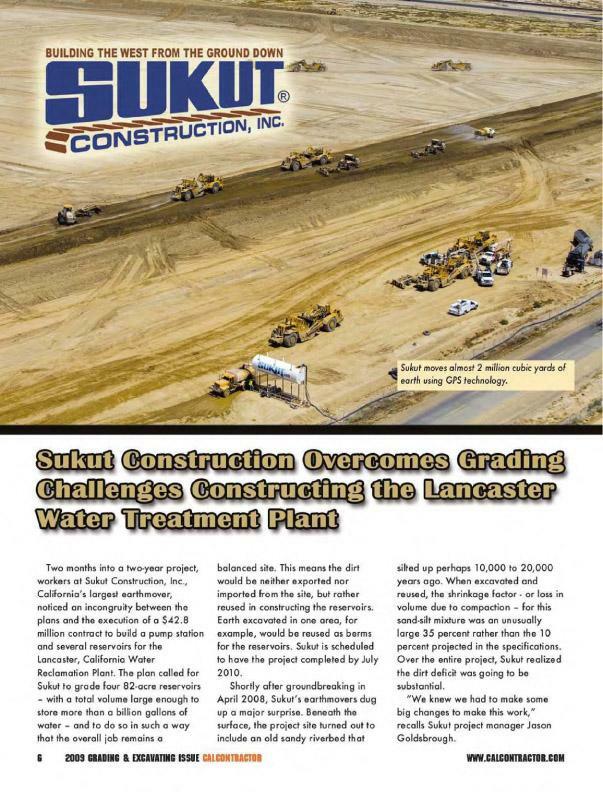 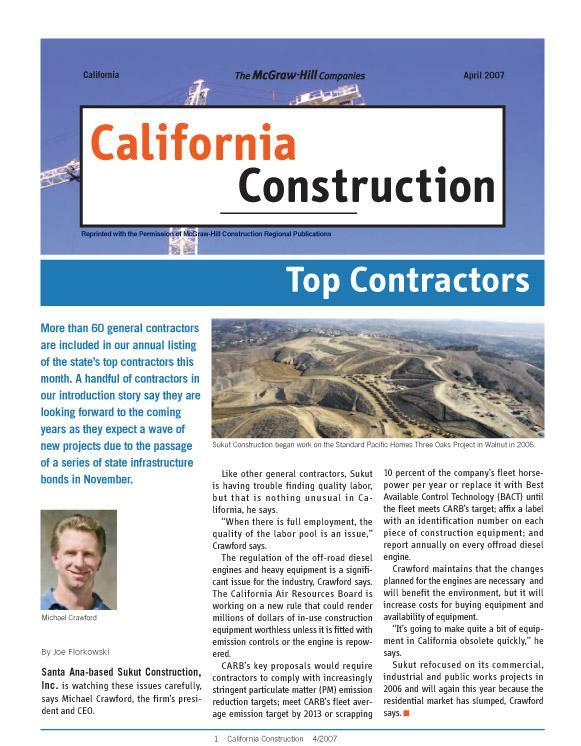 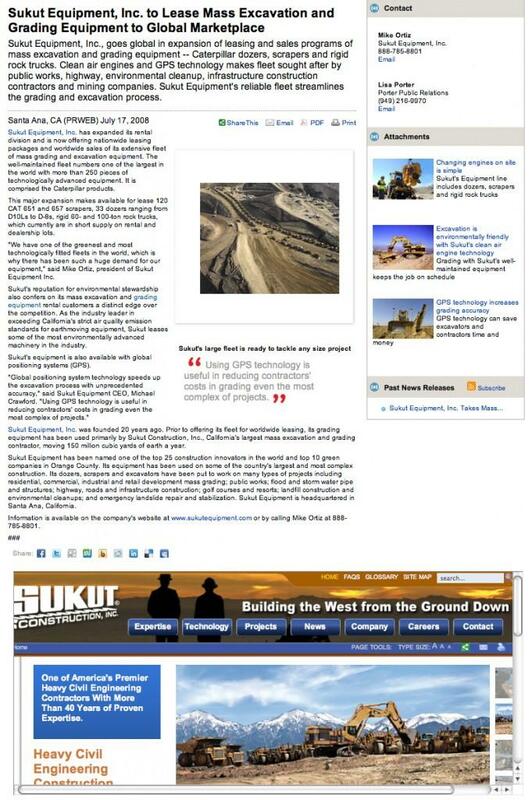 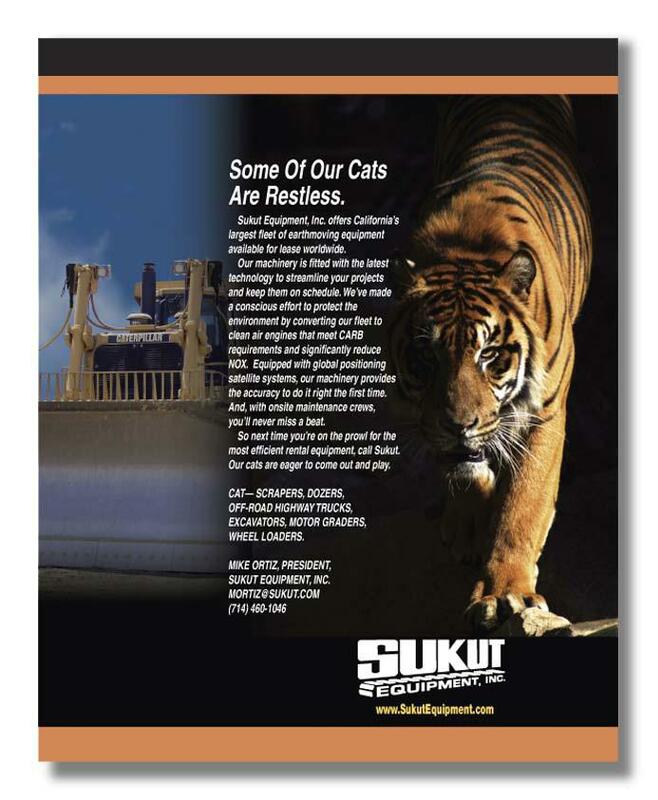 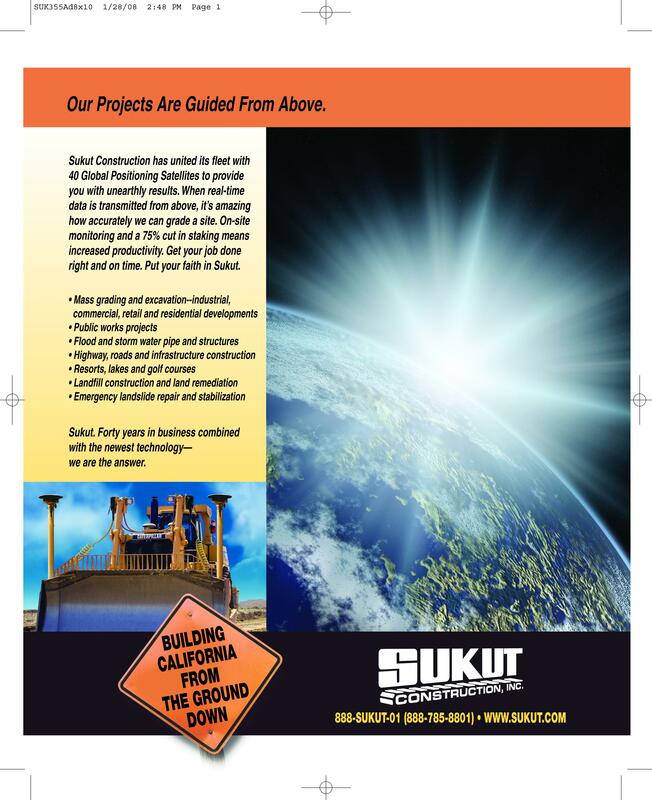 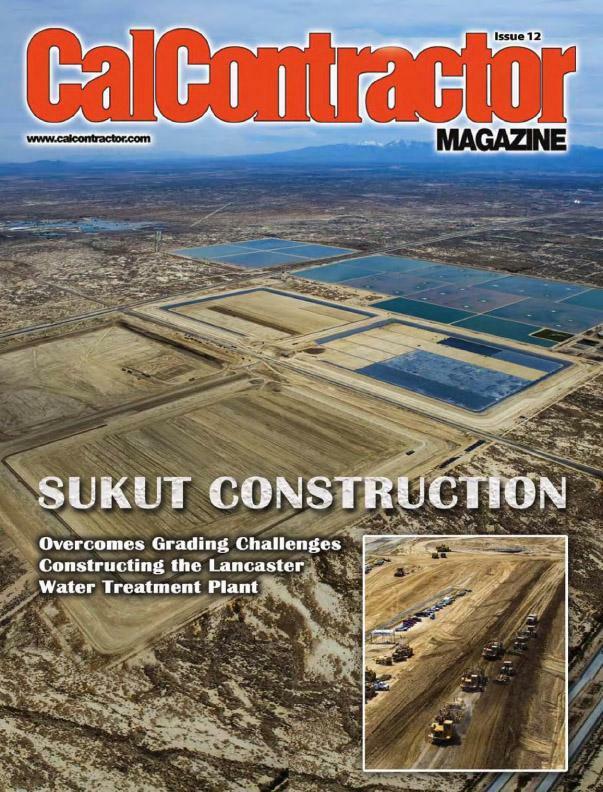 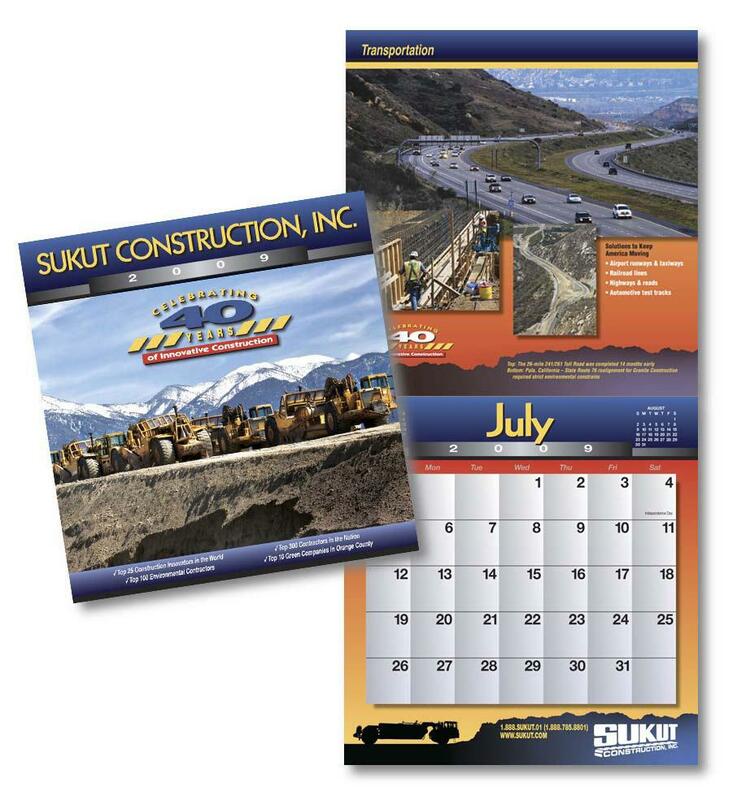 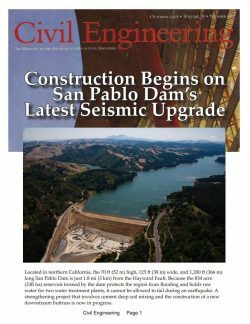 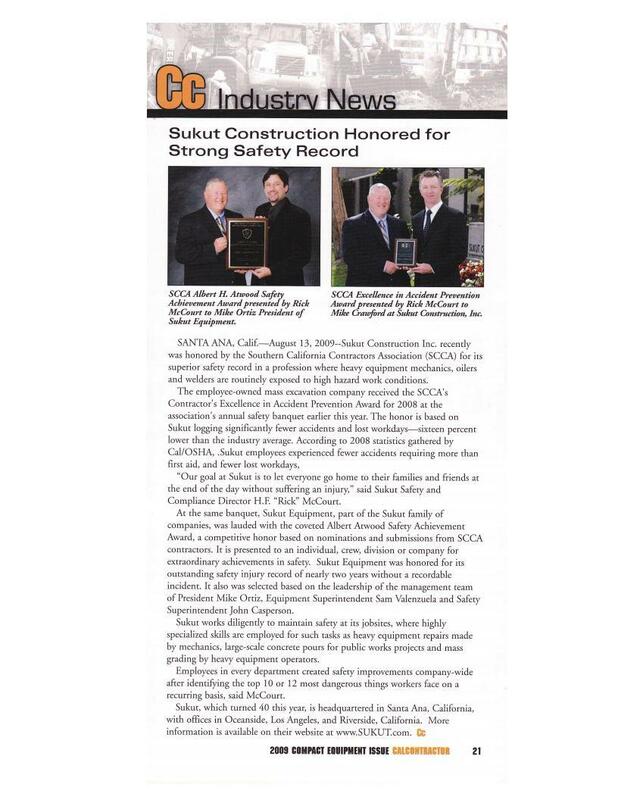 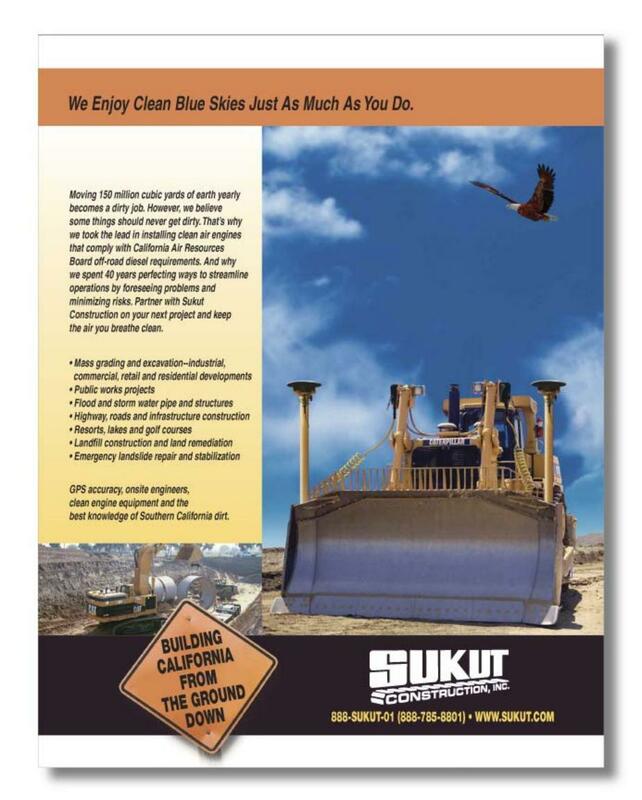 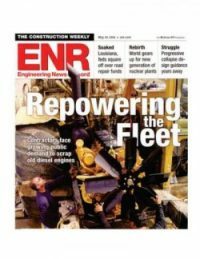 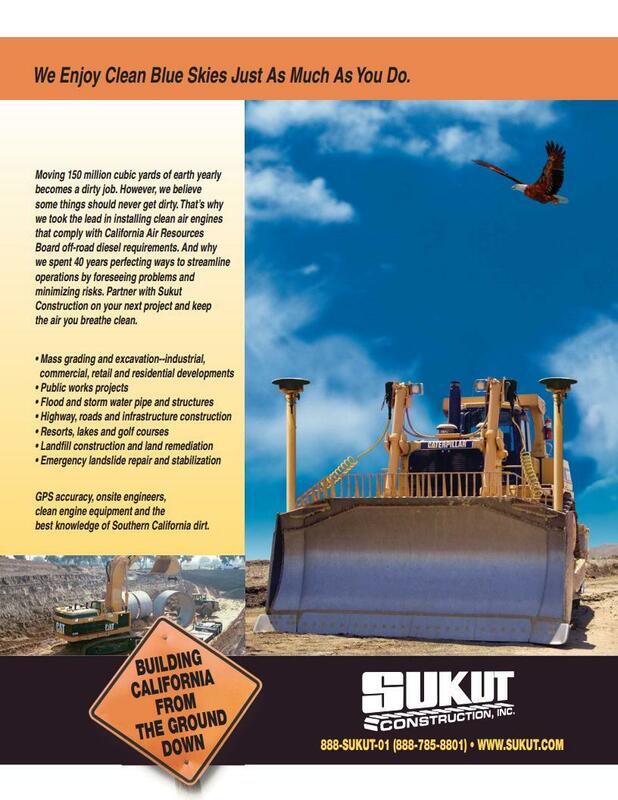 We worked closely with Sukut’s director of marketing to help grow the firm to be California’s #1 earthmover; America’s #1 landfill constructor; and an internationally recognized leader of clean air engine technology. 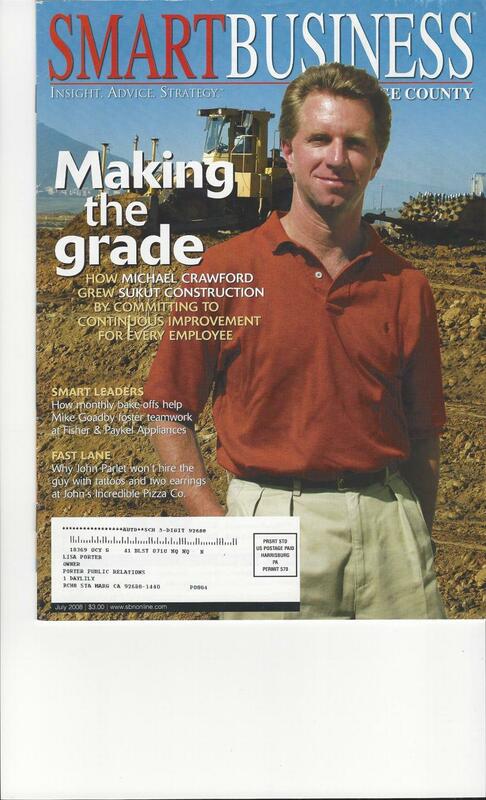 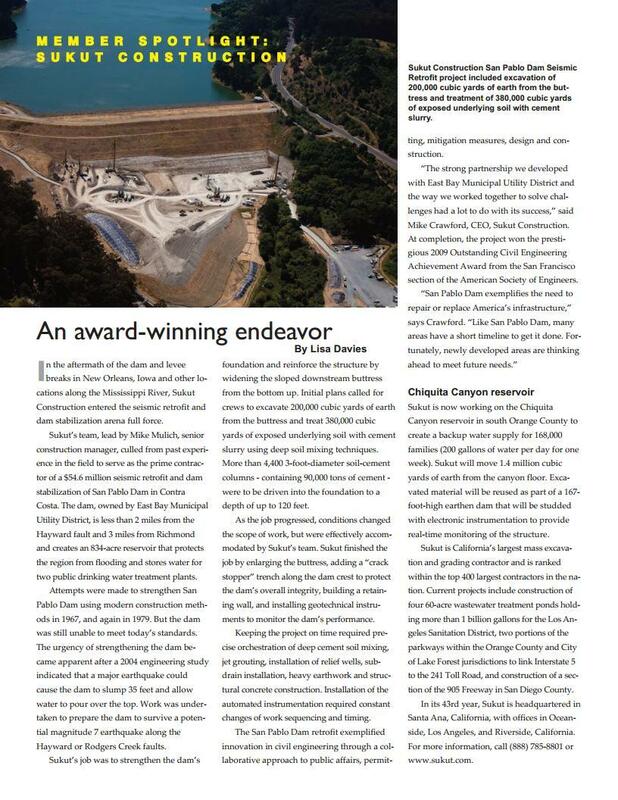 When the industry changed direction, Porter PR & Marketing was instrumental in successfully rebranding the company from an 80% residential constructor into a public works constructor. 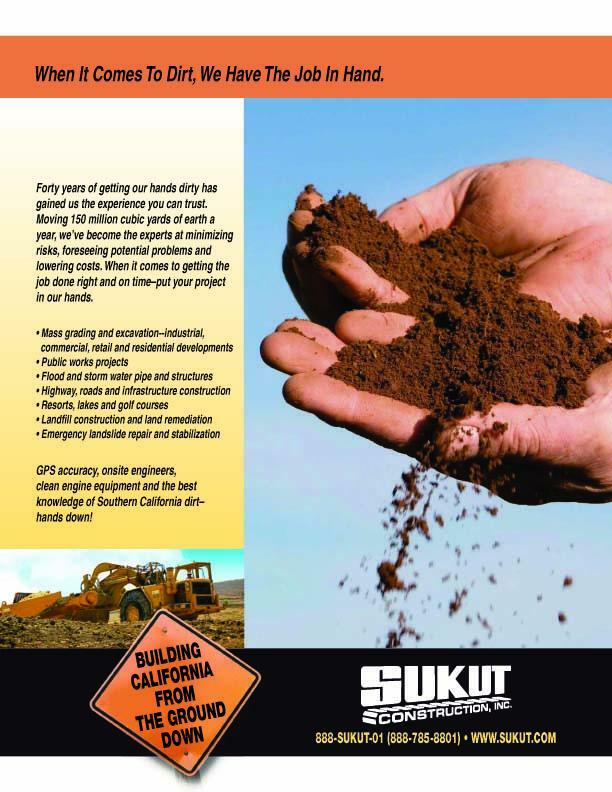 Our submissions for recognitions gained Sukut more than 40 awards including the “Best Place to Work,” Contractor of the Year,” Top 10 Green Companies in Orange County,” Fastest Growing Private Companies in Orange County,” and Top 25 Construction Innovators in the World.